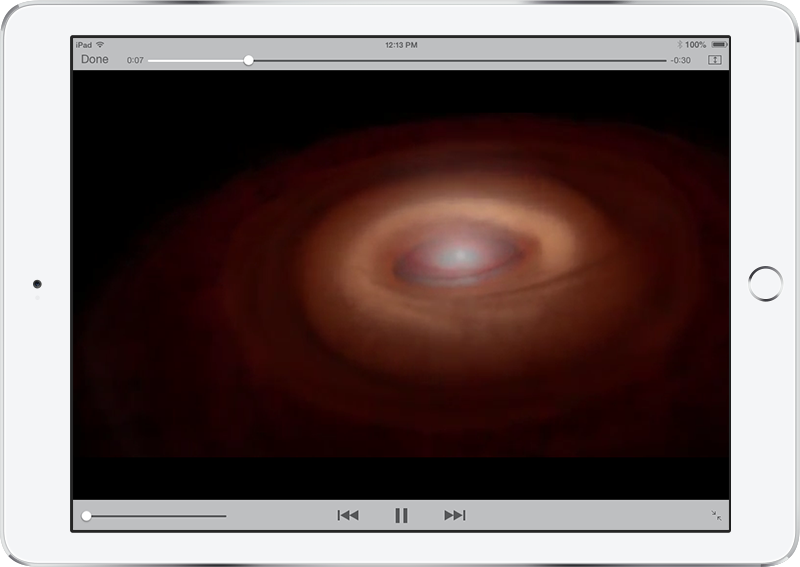 Video being in shown in the native full-screen video player when the Idle Time Limit triggers can cause the screen to be unresponsive when using Browser Engine > UIWebView. This issue is caused by the app not being able to fully dismiss the video player in UIWebView without user interaction, thus the video player is retained as an invisible layer, preventing further interaction with the screen. The native full-screen video player is triggered through iOS's standard video controls by tapping the icon with two arrows pointing away from one another. The full-screen video player opens in a separate layer above the rest of the app and, when using the UIWebView browsing engine, must be manually dismissed by the user by tapping 'Done' in the top left corner. As this is a separate layer and not part of Kiosk Pro, the app's bottom navigation and address bars cannot be shown within this layer. Workarounds available, continuing to affect only video displayed in the native full-screen player when using the UIWebView browser engine. display the video without the native controls that allow it to be opened using the native full-screen player - more on this here.